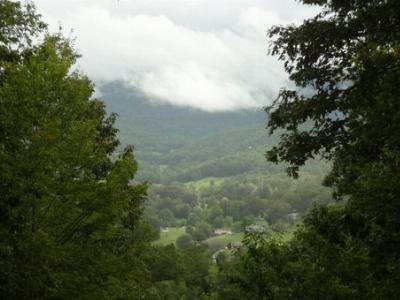 Long Range Mountain Views just 5 minutes from Franklin, NC! Gorgeous mountain top setting with beautiful flowers, walking paths, sitting areas to enjoy the peace and serenity of this home. New Hardwood Floors, Fresh Interior Paint, some new carpeting. Lower Level has 26' X 24' finished room and full bath, 1 car attached garage...Also a 1 car detached garage that has a Game Room above with a pool table that stays! 2 other outbuildings. 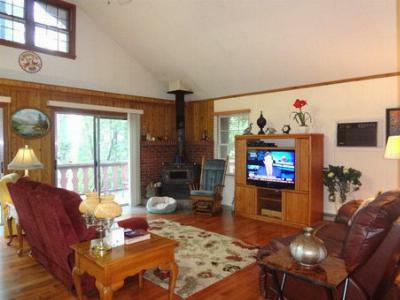 Big Deck, covered porch & screen room to enjoy the views. 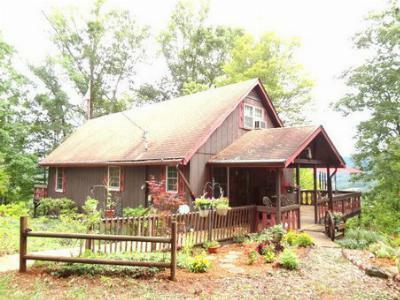 2 Bedrooms, 2.5 Baths, 1700 SF of finished space in main home on 1.03 +/- Acre Parcel. Easy Access with no steps to enter the Main Level of this home. Schools servicing this area include East Franklin Elementary, Mountain View 5-6, Macon Middle and Franklin High School all within 10 minutes of this home.